Code Cruiser Configuration Tool (CC Designer) has several UI features that will help to navigate you project. 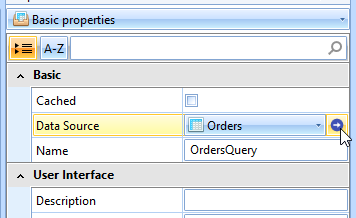 2) Blue arrows next to Data Source selector will jump you to corresponding object. 3) Dependencies window is very useful when you need to check where you object is used (there are blue arrows from 2) in this list). Elements of column Item also can be clicked.